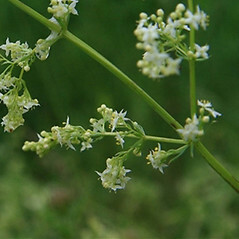 White bedstraw is introduced to North America. 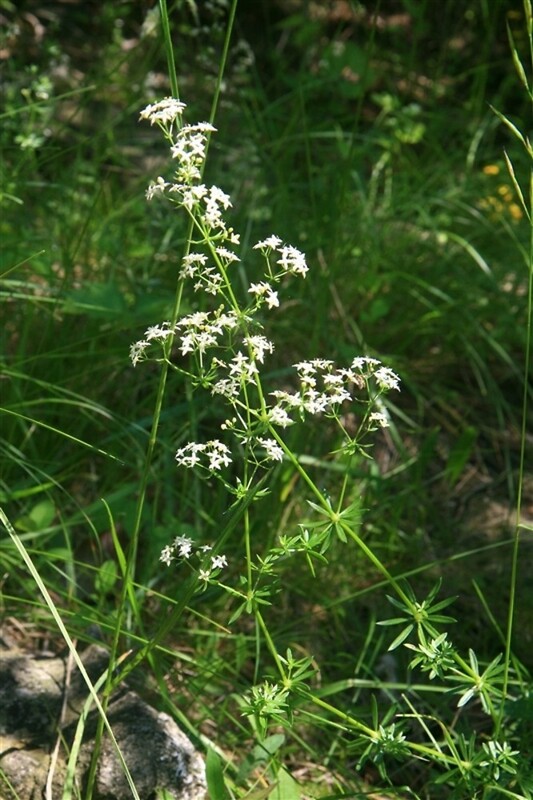 It resembles its much more common close relative, whorled bedstraw (Galium mollugo), but its white flowers are larger, are borne on short stalks in dense clusters, and the branches of the mature stems are held more upright. leaf blades 20-40 mm long, glaucous and distinctly paler on the abaxial surface, and pedicels capillary, mostly 0.05-0.1 mm thick (vs. G. album, with leaf blades mostly 10-25 mm long, not glaucous and only somewhat paler on the abaxial surface, and pedicels relatively thicker, 0.08-0.2 mm thick). corolla mostly 2-3 mm across and pedicels usually longer than the diameter of the flowers (vs. G. album, with the corolla mostly 3-5 mm across and pedicels usually shorter than the diameter of the flower). 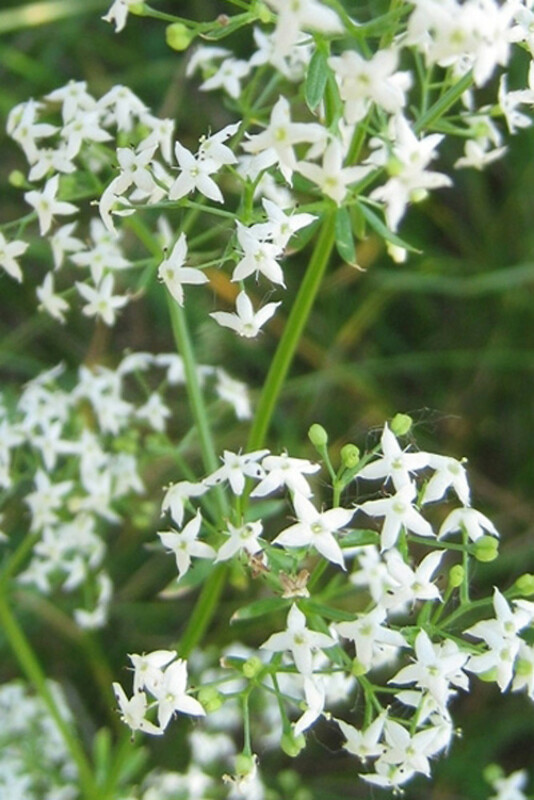 Galium mollugo L. ssp. erectum (Huds.) Briq. 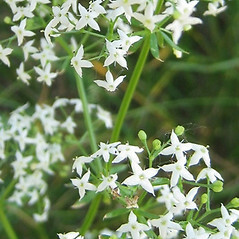 Galium mollugo L. var. erectum (Huds.) Domin. 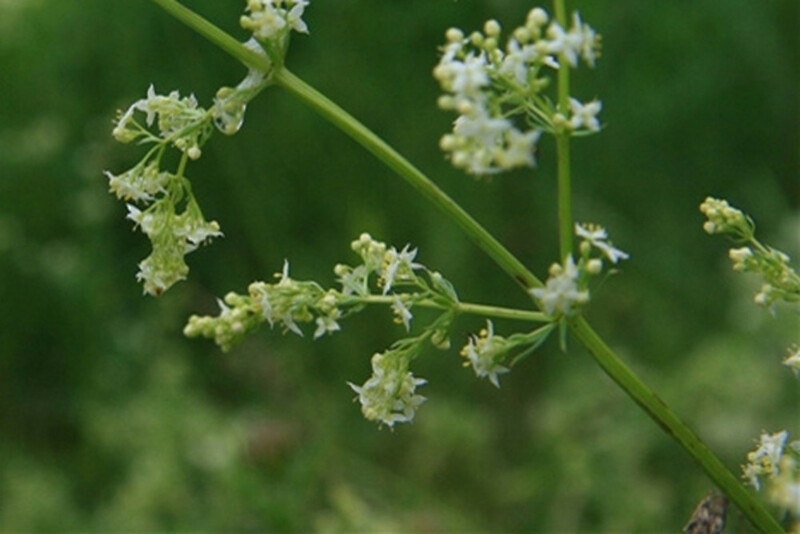 white bedstraw. 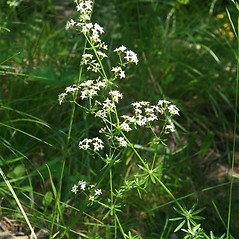 Galium erectum Huds., sensu Huds. 1778; G. mollugo L. ssp. erectum (Huds.) Briq. ; G. mollugo L. var. erectum (Huds.) Domin. • CT, MA, ME, NH, VT. Fields, roadsides, waste places.